More powerful torque by chute driven motor provides a clean cut on tough products. 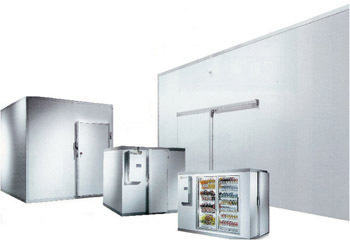 Snowhite's Heavy Duty Gear Drive System provides years of maintenance free reliability without down time. No belts to slip or break. 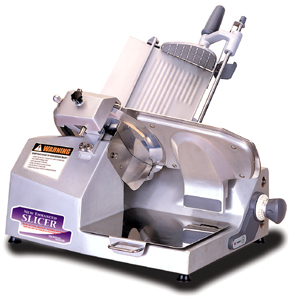 Powerful 1/2HP Knife Motor assures peak performance when slicing the toughest products. Nytratron that is self-lubricated plastic made in Germany for high speed commercial equipment. Snowhite's new touch pad control board are easy to operate. Self-diagnosis function protects against an overheated or over current condition on the Knife and Chute Motors. 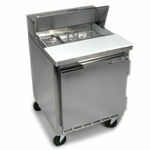 Stainless Steel food contact zones provide easy to clean surfaces and won't chip or peel. Comfortable and stable ergonomics style grip on the chute handle provides easy glide manual operation. and provides precision cutting and more uniform slices each and every time. Heavy End Weight lets you slice tiny pieces to the end and eliminates waste. By placing the End Weight Rod on the operator side of the chute the product is held tighter on slicing. maintenance, swings away from food contact area when not in use. Cover. These features help protect the operator from contacting the blade's edge while cleaning. Foot Print 17.8" x 22.4"
DIAMETER OF KNIFE: Dia 12"